Small dogs are gradually getting their popularity among city dwellers due to the limited living space. in fact, according to the latest statistics from AKC, small dog breeds have been ranked among the most popular dog breeds. In fact, small breed dogs make great lap dogs for families and the senior. Being small in size doesn’t mean they are lower animal. 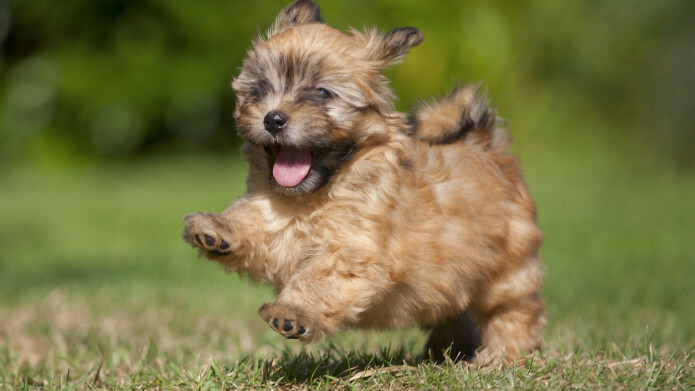 Below are 15 smallest small dog breeds and relevant information you may be interested in. First impressions of Brussels Griffon are always awkward, but still many people like it because they are very loyal and alert. They are not doing very well with kids. Being a toy dog, not only do the Cavalier King Charles Spaniel look adorable, they are very affectionate with owners. This pub is gentle and as elegant as a lady. It is also one of the most popular small dog breeds. There is no doubt that Chihuahua is one of the most well-known small dog breeds in the world. with the feisty personality and watchdog ability, it is definitely sassy and confident. they can get along well with adult owners. Cuteness is definitely not the right word to describe this dog breed. It has an exotic looking which may impress you deeply. It is hairless for the body and has some silky hair on the head, tail and feet. They are quite lively and like to be with their owners. The word “spunky” might be the most accurate word for Dachshund. This small, short-legged and drop-eared dog make a great hunting dog.